When was the last time that you paid more than R1 000 for a 32 GB flash drive? Personally, I've never had to cough up that much, which is why the new SanDisk iXpand Flash Drive’s R1 500 price tag is so surprising. Designed to work specifically with iOS devices in mind (but also working with Windows PC), the iXpand ended up being a handy little office gadget, but struggled to justify its inflated price tag. I'm unashamedly a big Apple user, and as such, communicating between the devices has always proved pretty easy. 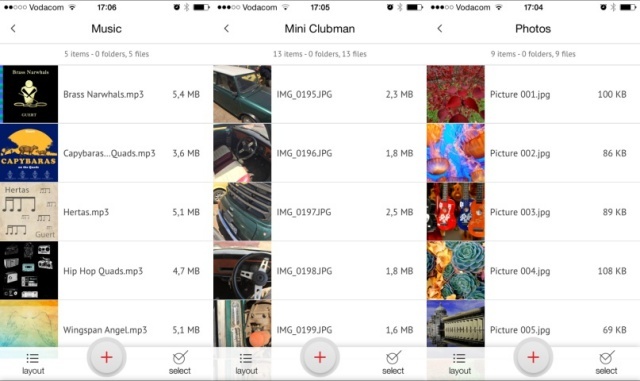 Sharing images from my iPhone to my MacBook for example, occurred easily enough with AirDrop. Every once in a while however, the Bluetooth-enabled Apple sharing service has failed to work, leaving me in quite a bind. And that's where the iXpand comes in rather handy. 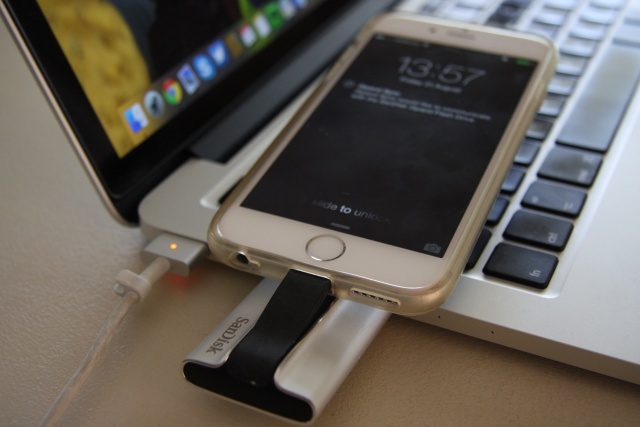 Featuring both an Apple supported Lighting connection, as well as a USB 3.0 dongle, it has made the transfer of documents, images and video clips from my iPhone to MacBook, and vice versa, relatively easy. 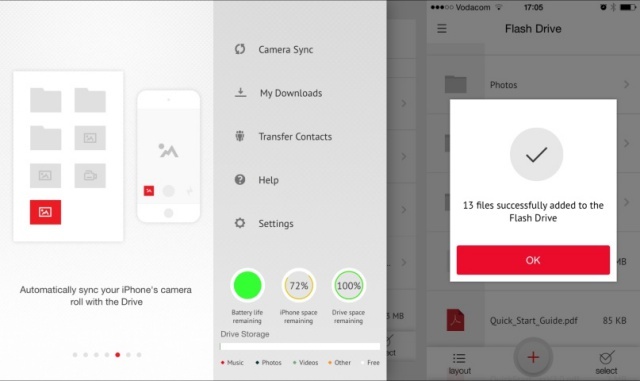 SanDisk also makes it available in various storage sizes, ranging from 16 GB all the way up to 128 GB. As such, it proves a welcome aid in transferring files or content for users whose array of devices are not solely Apple in nature. In order to work on one's iPhone or iPad, you need to download SanDisk's iXpand Sync app, which is free to get off iTunes, but chimes in at a rather sizeable 46 MB. That said, the app is fairly easy to navigate, with all the recently uploaded content always found on top of the content list. Users can also toggle this orientation, and change the list according to alphabetical, as well as descending order. As easy to use as the iXpand is, there are a few frustrating elements. The lighting connection for one, is housed in a flexible plastic portion that only flexes 45 degrees. As such, one's iPhone or iPad sits on top of the iXpand in a rather uncomfortable position. 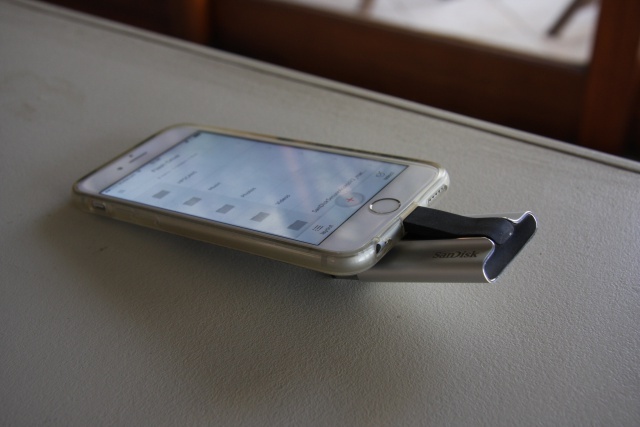 I would have rather like to see flex a full 180 degrees, allowing both the iPhone/iPad and iXpand to sit flat. One other aspect that frustrated me slightly, is the inability to connect one's iPhone to the iXpand, as well as one's PC or notebook at the same time. Trying to do this resulted in my iPhone covering almost of a third of keyboard, which feels like a very unproductive way to work. This issue can only be circumvented when one transfers content to and from device and iXpand independently, which ultimately feels like a more elaborate, and therefore less efficient method. 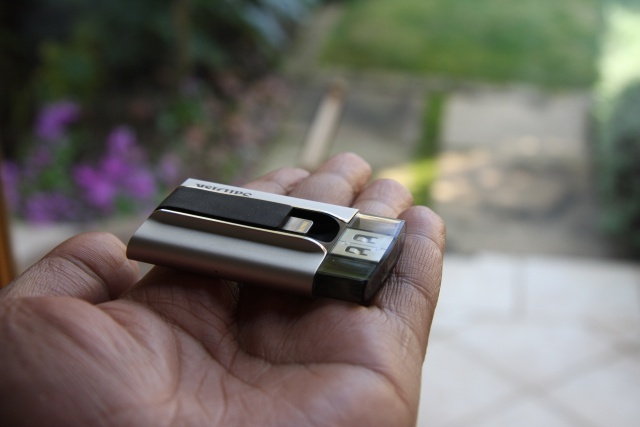 One other possible hurdle is price, with the 32 GB version (review model) costing an estimated R1 500. 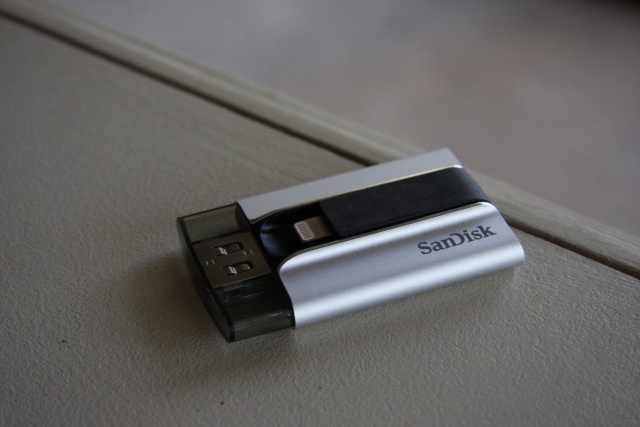 This is far more than one would expect from one of SanDisk's normal 32 GB USB only flash drives, which normally go for R400, while also being far slimmer in design. There's no doubting that having a device like the iXpand close at hand is helpful. But quite frankly the R1 500 price tag seems almost too large a hurdle to overcome. While AirDrop is a little erratic at times, and connectivity to iCloud might not always be available, these are both problems I'm quite happy to put up with when weighed against paying more than R1K for a flash drive. That said, being a iOS-specific device, potential iPhone/iPad users should be more than familiar with the inflated price tags that Apple accessories often tout. This factor, coupled with the fact that it works well, makes the iXpand a solid accessory.